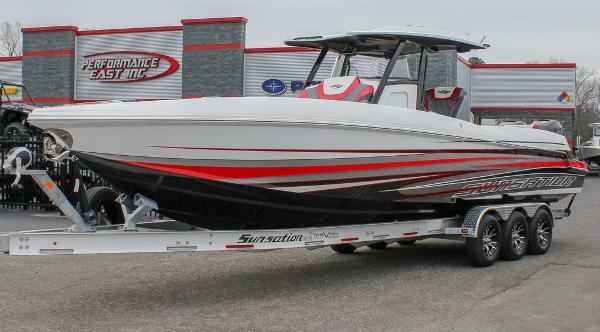 2019 Sunsation 32 CCX Boat: 2019 Sunsation 32 CCX US-SP332071L819 The 32CCX Center Cabin X-treme is the next evolution in Sunsation’s line of high performance center consoles. 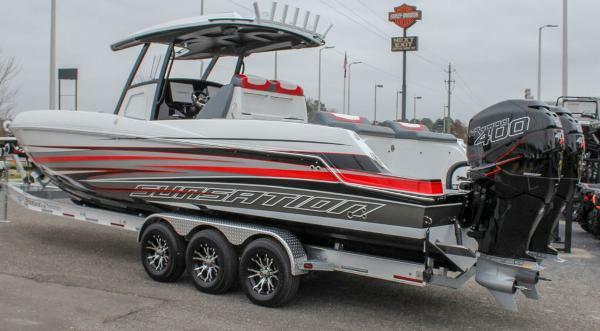 This specialty center console has been designed to accommodate a wide variety of recreational water activities, while providing the speed and handling of a high performance V-bottom boat. The Tres Martin designed hull features the proprietary SS Taper Ventilation Technology, the latest advancement in hydrodynamic science. The base model is powered by twin 300HP Mercury Verados, with optional power upgrades available up to twin and/or triple 350 & 400HP Verados. 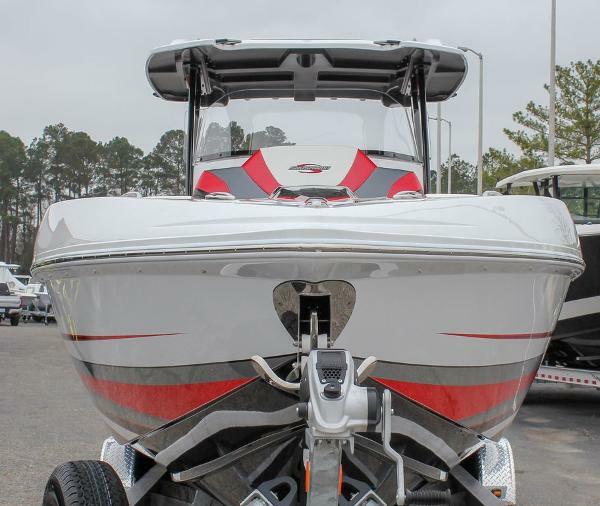 Standard features include twin heavy duty marine batteries, dual bilge pumps, trim tabs, six low-profile pop up cleats, deck rails, stainless steel rub rails, frosted cabin sky light, head and Fusion stereo.